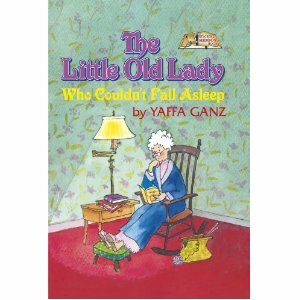 Expert Review of The Little Old Lady Who Couldn't Fall Asleep by Yaffa Ganz, one of our picks of the top Jewish books for kids! "Once upon a time there was a little old lady who couldn't fall asleep." She tried everything but nothing helped, not even Dr. Klugkop. Then the Rebbetzin (Rabbi's wife) had a splendid idea. Warm, charming, and an ever-so-funny way to learn about the mitzvah of concern for your neighbor.